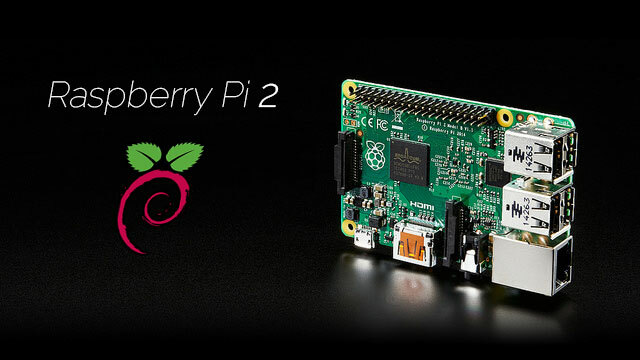 The Raspberry Pi 2 is now available and is absolutely brilliant. Faster, more powerful still affordable, and now supports Windows 10. 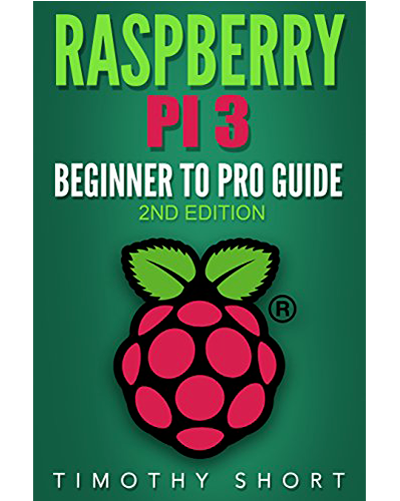 When Raspberry Pi 2 was available we told you that we would go out a guide to help you choose accessories for your Raspberry Pi 2, here it is. We will cut this tutorial in three parts, the mandatory accessories, those useful, and those who serve you in some specific cases. We will try to be as clear and concise as possible. The accessories shown in this article can also be used for the Raspberry Pi B +. La Raspberry Pi est livrée nue, sans clavier, sans alimentation, bref toute seule. The Raspberry Pi is delivered naked, without keyboard without power, in short all alone. This is obvious, but we will mark just the same, you will need a Raspberry Pi 2. IIt is mainly a question for us to remind you quickly the changes in the Raspberry Pi 2 compared to the Raspberry Pi B+. 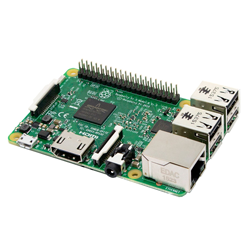 The Raspberry Pi 2 proposes 1GB RAM, against 512MB for the model B+ . It also has a new processor 4 cores to speed 900Mhz against a 700Mhz processor 1 heart for the B+, this new processor is at least 6 times more powerful. Last important point, the Raspberry Pi 2 supports Windows 10, while model B + only supported Linux. Here is a small summary table! 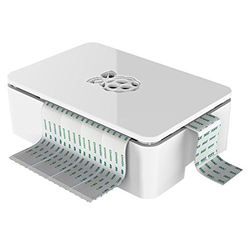 [/symple_column] [symple_column size=”two-third” position=”last” fade_in=”false”] As we said, the Raspberry Pi is selling without any material. Therefore, we need a power supply to turn on the Raspberry Pi. Too many times, the power supply is too weak, it’s important to choice a good one or your Raspberry Pi could be too slow, or it can’t suply the USB devices. 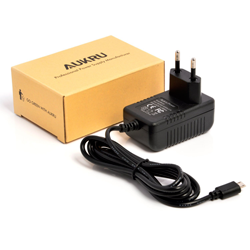 We advertise you this power supply with 2500 mA, which provides sufficient current to power the Raspberry Pi and USB devices. The Raspberry Pi dooesn’t have any internal storage., it’s mean it doesn’t have any hard disk. Instead, it uses a MicroSD card that is used to store your data and the system that run the Raspberry Pi. 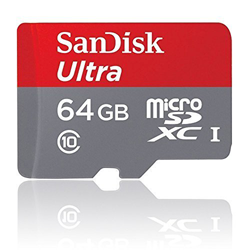 MicroSD card is solicited very often so it is really important to choose a card very fast and reliable, in the opposite case the Raspberry Pi performances may be impaired. We recommend the following MicroSD card in 4 sizes, depending on your use of the Raspberry Pi. 16 Go for : home automation / robotics, a little server, programmation dedicated computer, etc. 32 Go for : normal computer will do some media, for a server that will need to store more data, for a media-center that will be equipped with an external hard drive. 64 Go for : a normal computer that will make multimedia, media-center without a hard drive, a server that needs to store a lot of pictures. If you intend to use your Raspberry Pi 2 not only as a server exclusively by SSH command line, or even to increase its service life, you will most likely need the following accessories. By default the Raspberry Pi 2 look like a green printed circuit. This is not very nice and leaves the Raspberry unprotected. Whether for aesthetic reasons or simply to protect her, you should probably make a case for your Raspberry Pi 2. There are several types, we advise you in four, according to your needs. In all cases we have ensured that provided access to all connections in the Raspberry Pi 2 and that allowed it to breathe. First of all, the official Raspberry Pi Foundation case ! All uses from the PC to the server via the home automation and media-center. Discreet and elegant, this small design touch, a perfect protection, definitively our favorite! For decorative purposes, this case is very nice rainbow but less discreet, very well it will protect your Raspberry Pi 2 and bring some fun. For the most ecologist of us, a wood case ! Undoubtedly one of the most important points Raspberry Pi 2 has no Wi-Fi, only a wired internet connection. If you want to use your Raspberry Pi anywhere in your home, the transport, etc., you will need a WiFi USB dongle that allows the Raspberry Pi to have wireless internet. 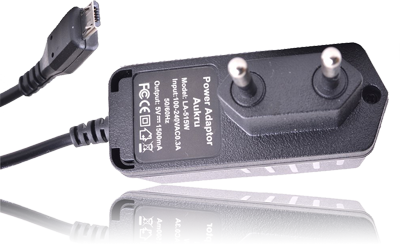 We recommend this adapter that meets the speed requirements, consumption and compatibility you might have. If you will be using your Raspberry Pi as a conventional computer, a media-center, or more generally without using it via internet and SSH you will probably need a keyboard, you must choose a small keyboard, wireless, with an integrated mouse (or touchpad instead), to maintain the full mobility of your Raspberry Pi. 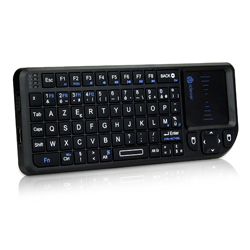 We advise you this QWERTY keyboard, which is perfectly compatible with the Raspberry Pi and that works very well. To use your Raspberry Pi 2 other than SSH without interface, you will have probably a screen, and potentially a suitable cable. You need a screen for everyday use and permanent, choosea standard HDMI computer screen. For cables, depending on the screen you use, you may need either, a simple HDMI cable, or a HDMI/VGA converter, or a câble jack Audio/Vidéo. In some very specific cases, you may need a number of special accessories. We’ll draw up a short list here. It is likely that one day you want to equip your Raspberry Pi with a camera , whether you use it as a computer or to create a video surveillance system. You then have to choose interest this tiny FullHD camera that was created specifically for the Raspberry Pi. Note that there are also infrared version of this camera. If you want to store large amounts of data, for example as part of a media-center, you have interest in equip you to an external hard drive for your Raspberry Pi 2. However, the Raspberry Pi supplied power to the USB ports is not always sufficient to power a hard drive . You have two options to correct this problem, choose a standard external hard drive, and a USB HUB with mains power supply, or choose a hard disk with its own power supply. a USB hub with its own power supply (the USB ports of the Raspberry Pi can’t power a HUB to them alone). 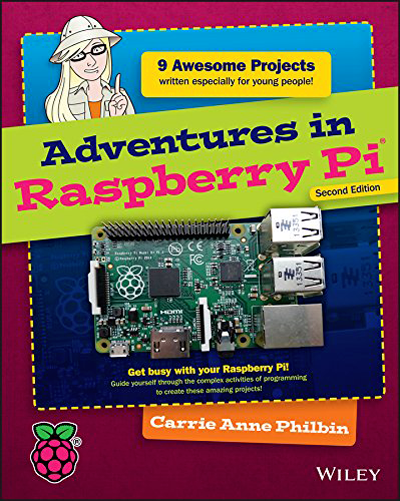 In some use cases, laptop, robotics, surveillance, and others, you may need to move your Raspberry Pi 2 without being connected. In this case, you should take an external battery, a phone for emergency battery could be a very good choice , and should allow you to hold more than 20 hours (this battery offers over a battery indicator that will prove very useful). We hope this article has helped you see more clearly in the choice of accessories for your Raspberry Pi 2.